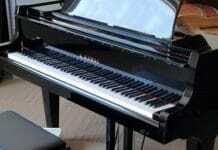 Do you have a desire to become a concert pianist? If so then there is a lot to consider before committing your life to this rigorous profession. Initially, one question you may have is how much a concert pianist makes. The answer below just might surprise you! So, how much do concert pianists make? A concert pianist makes $50,000 per year on average. This does not include travel, dining, and other performance related costs. Some of the worlds top concert pianists make between $25,000 – $75,000 per concert. Other income includes endorsement deals, masterclass events, and album sales. The amount of income a concert pianist makes varies. A lot of it depends on your ability to secure concerts, having artist representation, and the type of performances you give. I’ll dive into a few of the common ways concert pianists make money so you can see where you fit into each career path. One of the unique characteristics of concert pianists is their versatility as performers. Whether you’re a top tier pianist making millions per year, or someone just starting out, there’s an opportunity to play and make money in some capacity. Below are a few of the most common concert engagements a concert pianist will find themselves playing with at each point. I’ll also list the average pay for each of these types of engagements so you can get an idea of what is possible. 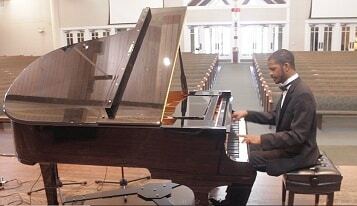 Solo recitals are what most concert pianists aspire to do full time. This is the one instance where they share the stage with no one and can receive all of the attention. Along with that comes plenty of pressure to be great each night. Most solo recitals for an average concert pianist can net anywhere from $500 to $5000 on any given night. For top-level concert pianists, the amount can be ten times as much. There are a lot of things that determine that amount. Factors such as the popularity of the pianist, ticket sales, size of the venue and their overall budget. The length of the recital also factors into this cost as well. Generally, solo recitals are a great place to start, but concert pianists seeking more income will want to move into chamber and concerto engagements instead. I consider chamber music recitals to be between 2 to 4 musicians. For pianists, this consists of a violin, oboe, cello, bass, or even a combination of brass instruments as well. Duo piano is also a very popular form of collaborative music; check out Anderson and Roe here for example. Chamber ensembles work well for concert pianists because as a whole, the entire group can demand more pay. For a professional level chamber recital, it’s not uncommon for a demand of $5000 or more to be the starting point. This ensures every musician in the group can get a substantial payment for their work. How the funds are divided up depends largely on the leader of the ensemble, contractual agreements and other factors. Chamber recitals are generally more popular than solo piano recitals. The group is able to draw a much larger audience as well because each group member presents a unique skill set. Also, each group member can use their connections to spread the word about the performance through their professional contacts, which helps drive more revenue through ticket sales. If you’re a concert pianist and find yourself having trouble getting booked for recitals, definitely consider collaborative concerts with other musicians. More and more concert pianists are moving towards the concerto engagements. This is because these performances pay enormous amounts of money for the time required. Top pianists make upwards of $50,000 per night performing with an orchestra. The time requirement on stage is also quite minimal, often with 25 to 35-minute pieces being performed with the group. Compare that to a 90-minute solo recital where much more is demanded of the pianist. There are quite a few rehearsals the artist has to do with the orchestra, but it’s very much a situation where preparation is done beforehand. Simply finding an orchestra is difficult though, and these performances are often on an invite-only basis. There are many opportunities to play with local orchestras and even community bands that will provide excellent accompaniment for pianists. While the pay may not be nearly the same working with a smaller group, the audience exposure and marketing potential are very much there. Orchestras, bands, and community ensembles draw huge crowds on a regular basis, so it’s a great opportunity that pianists should seriously consider. A neat avenue for concert pianists to make money is through Broadway musicals. You might be surprised how many local broadway style productions are happening in your area. These small theater productions are always looking for fill-in musicians to perform shows. Usually, the shows are contracted on a pay per play basis. Bigger groups that go on tour will pay significantly more money. A small production may pay a musician $150 per show and $50 per rehearsal. Much larger productions will pay double that. The average Broadway musician makes $1500 per week! While it’s not necessarily classical music, a concert pianist with excellent sight reading skills can certainly make their way into this business too. Most concert pianists compete in piano competitions. Most competitions offer performance prizes and cash prizes to the winners. Some of the bigger competitions offer enormous cash prizes to their winners, often exceeding $50,000 – $100,000 to the grand prize winner. In addition to the cash prizes, piano competitions also offer exclusive recording contracts and free management for 3 to 5 years. The value of these contracts should not be understated. For example, a professional recording normally costs north of $20,000. Also with management, the bookings a concert pianist will receive moving forward is huge because they can keep all of that revenue without giving a percentage to the agent. Corporate performances are those reserved for some of the worlds, elite pianists. This usually includes private recitals for record companies, management teams, and even those you’ve signed endorsement deals with. These performances are often great networking opportunities and excellent brand builders for the pianist. While pay for these events varies, the value of performing these is immeasurable. A concert pianist is a much broader term than most people think. This does not just include pianists who perform concerts, but pianists who invest in recording projects, teaching, and other forms of consulting. Most concert pianists have piano studios. Because of their expertise, it’s quite easy for a concert pianist to recruit student into their program, charge a premium, and do quite well from that income. Here are a few tips on how to open up your own piano studio. Recording projects are very lucrative for concert pianists. In fact, it’s another way to add some income through selling CDs after a performance. These projects are also a great way for pianists to gain exposure, sharing videos and audio snippets on social media sites like YouTube. The more virality the project gets, the higher the chance of concert promoters reaching out to pianists to offer playing engagements. If you don’t mind consulting, then participating in music festivals is a great way to gain exposure and make a solid income. Most concert pianists take the summer months to travel around the world teaching their methods, perform, and hold artist residences. How long do concert pianists practice each day? Most concert pianists practice an average of 4 – 7 hours per day. For more established pianists, the practice time is a minimum of 2 hours. Concert pianists use this time to refine their skills and learn new programs for public performance. How many concert pianists are there in the world? There are millions of concert pianists in the world. Of those millions, only a small percentage of them perform regularly in the worlds most prestigious performance venues. On average there are 200 concert pianists circulating in some of the biggest performing markets. Who is the greatest concert pianist of all time? The answer to this question comes down to personal taste. Generally, the most well-known pianists over the last 100 years include Vladimir Horowitz, Arthur Rubenstein, Van Cliburn and more. Of the more modern artists, the list includes Lang Lang, Yuja Wang, Daniil Trifonov, and many more. How can I become a better pianist faster? Becoming a concert pianist takes an incredible amount of dedication and effort. Regular technical practice, setting a solid practice schedule and using a quality piano all contribute to faster learning. Here’s everything you need to know about becoming a concert pianist. Previous articleSteinway vs Fazioli – Which Piano Is Better?